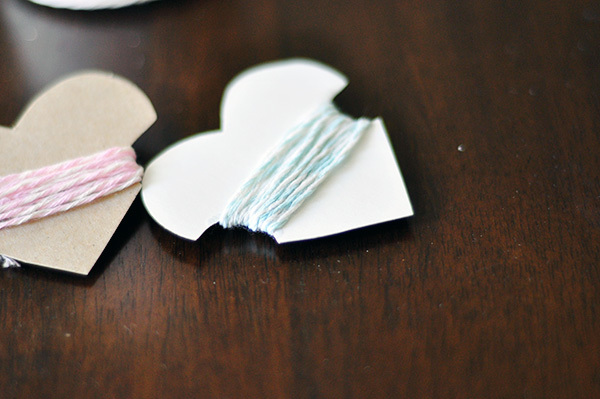 If you have a lot of crafty friends that are in love with bakers twine just like you are, these cute heart shaped bakers twine valentines are the perfect little card to give them this Valentine's Day. These heart shaped floss cards would be cute to hold different colors of embroidery floss too if you have a daughter that is in love with making friendship bracelets too. You can check out these cute bakers twine valentines and even see how to make your own bakers twine over at The Cheese Theif. I have a couple other DIY bakers twine tutorials HERE too.